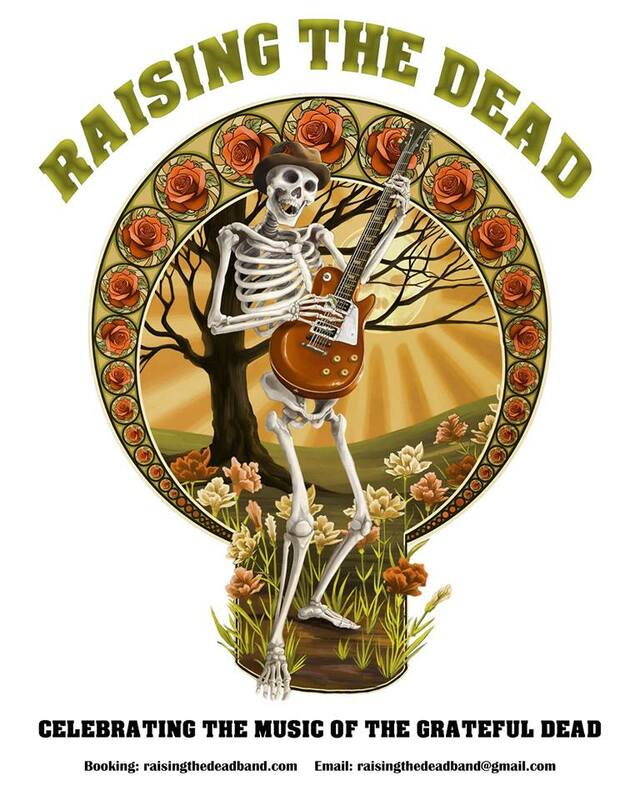 Raising The Dead is a 5-piece (Drums, Keyboards, Bass, and 2 Guitar) ensemble dedicated to recreating the music of the Grateful Dead. We are professional, punctual, and will provide an outstanding musical experience for your audience. Our shows feature virtuosic instrumental performances, compelling group improvisation, and tight vocal harmonies. The Dead's music ranges from psychedelic rock to country western to blues and disco, and our band plays a fun, danceable mix of it all. Wherever we perform, we are reminded that Deadheads are everywhere, and new ones "get shown the light" each time we gig. Alternately, fill out this form and we'll get right back to you.